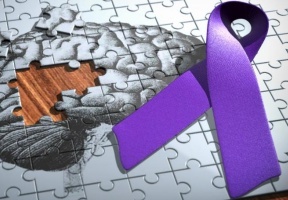 Research is beginning to uncover the impact of Alzheimer’s disease among Hispanics. 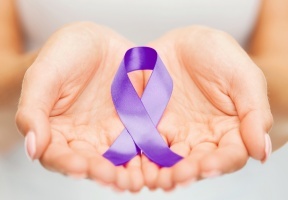 According to the Alzheimer’s Association 2010 Alzheimer’s Disease Facts and Figures report, Hispanics are about one and one-half times as likely to have Alzheimer’s or other dementias as older whites. • Hispanics have a higher rate of Alzheimer’s than whites to have Alzheimer’s and dementia. • Hispanics/Latinos face a higher risk of Alzheimer’s disease and other dementias because (like the general population in the United States) they are living longer but have higher rates of cardiovascular risk factors. • Risk factors for vascular disease — mainly diabetes, high blood pressure and high cholesterol — may also be risk factors for Alzheimer’s and stroke-related dementia. Latinos in the United States have higher rates of diabetes, putting them at greater risk for developing Alzheimer’s. • Hispanics are the fastest-growing population in the United States. During the first half of the 21st century, the number of Hispanic elders with Alzheimer’s and related dementias could increase more than six-fold, from fewer than 200,000 today to as many as 1.3 million by 2050. Latino life expectancy will increase to age 87 by 2050, surpassing all other ethnic groups in the United States. While research is not yet conclusive, certain lifestyle choices, such as physical activity and diet, may help to support brain health and prevent Alzheimer’s. Below are just a few tips to help prevent the signs of Alzheimer’s disease. Eat a Mediterranean diet. “This has been shown to help thwart Alzheimer’s or slow its progression. A recent study showed that even partial adherence to such a diet is better than nothing, which is relevant to people who may find it difficult to fully adhere to a new diet,” says Dr. Marshall. The diet includes fresh vegetables and fruits; whole grains; olive oil; nuts; legumes; fish; moderate amounts of poultry, eggs, and dairy; moderate amounts of red wine; and red meat only sparingly. Learn new things. “We think that cognitively stimulating activities may be helpful in preventing Alzheimer’s, but the evidence for their benefit is often limited to improvement in a learned task, such as a thinking skills test, that does not generalize to overall improvement in thinking skills and activities of daily living,” says Dr. Marshall. Even though we don’t have enough evidence that all healthy lifestyle choices prevent Alzheimer’s, we do know they can prevent other chronic problems. For example, limiting alcohol intake can help reduce the risk for certain cancers, such as breast cancer. Best advice: make as many healthy lifestyle choices as you can. “They’re all beneficial, and if they help you avoid Alzheimer’s, all the better,” says Dr. Marshall.